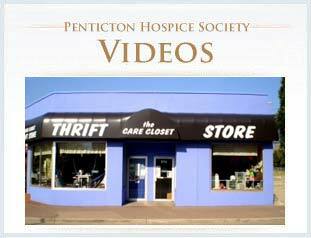 Frequently Asked Questions | Moog & Friends Hospice House – Penticton Hospice. Can I bring electronic equipment and furniture from my home? Please do not bring electronic equipment or furniture from home as we are regulated by safety policies from Interior Health. Is there a cost to stay at Hospice? Yes there is a daily rate for your stay at Hospice House regulated by the Ministry of Health. An invoice will be mailed to your home address from Interior Health’s Accounts Receivable office at the end of each month. If you have any questions regarding your bill or you wish to pay at Hospice House, please see the Administrative Assistant. You will also be responsible for the Pharmacy and BC Ambulance charges not covered by the Palliative Care Program. Please bring personal toiletries including shampoo/body wash, Kleenex, a denture container, dressing gown, slippers, razor, and any other personal items you feel you will need. A small locked cupboard is available for your convenience; however, it is requested that you do not bring money or valuables with you. 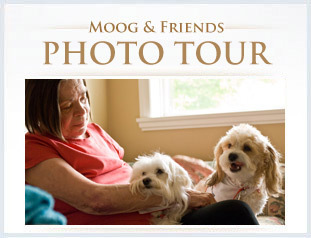 Moog & Friends Hospice House cannot accept responsibility for valuables in your possession. We are committed to protecting the privacy of your information. It is standard practice to provide people who phone and ask about you with information confirming your admission and location. If you do not wish us to release this information, please inform our staff. Can my family stay and eat with me? Hospice House provides residents with nutritionally balanced meals. For family and visitors, only coffee and t, and small snacks are available. The cost is by donation. There is a cafeteria located at the Penticton Regional Hospital in the basement of the Central Pavilion. Vending machines are located in the main lobby and the Hospital Auxiliary gift store sells frozen dinners. Hospice House and Interior Health are SMOKE FREE INSIDE & OUT. Visitors, family, contractors, and staff are NOT permitted to smoke on any IHA property. If a patient obtains doctor’s orders, he/she may smoke outside on the back patio only! Patients may have an alcoholic beverage when approved by a physician with a written Doctors Order. Patients alcohol will be kept at the nurse’s station and dispensed as ordered. Family members/visitors can discuss and get approval from the nurse in charge for family members/visitors to partake in celebratory alcoholic consumption with their loved ones. Hospice House and Interior Health buildings are scent-free. All strongly scented personal care products as well as heavily scented floral arrangements are not permitted. We have a family pet. Can he/she come to visit? Pets may visit for short periods and must be on a leash at all times. I need to stay in touch with family out of town, is there a telephone handy? Each room has a telephone with a direct line access. Local calls are free. For long distance, patients and families use their own cell phones or have family or friends call them. What are the best times to visit? With the awareness that time is precious and cherished we ask that the residents identify the family or significant friends who visit with them. Family can visit at any time and may wish to sleep overnight on occasion. Please inform the RN on duty or the coordinator if you wish to spend the night or visit after the doors are locked at dusk. Friends are encouraged to visit between 8 a.m. and 8 p.m. Short visits of a few visitors may be desired by the resident to prevent fatigue and allow for quiet times. Children must be accompanied by an adult at all times. Please be respectful of other residents and their need for privacy, rest and a peaceful environment. Please keep noise and visits outside the room at night to a minimum. 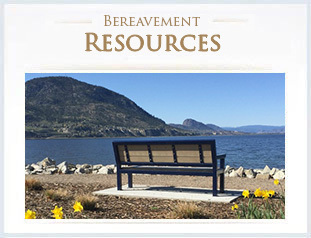 © 2019 Penticton & District Hospice Society.